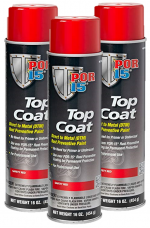 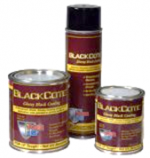 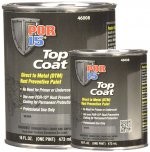 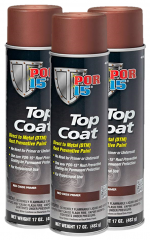 POR-15® Top Coat may be applied directly to a clean prepped metal surface but, when used as a top coat over POR-15® Rust Preventive Coating it provides the toughest, most permanent protection against rust and corrosion ever developed. 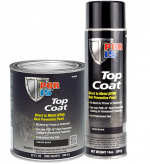 It won’t crack, chip or peel and will look terrific! 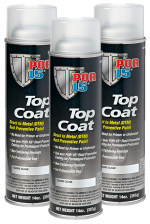 POR-15® Top Coat is not sensitive to ultra-violet light and may be exposed to sunlight without damaging consequences.